CMC collaborated with SINA in organizing a campaign on SINA’s website from October 17 to 28. The objective was to enhance consumers’ awareness of U.S. cranberries. 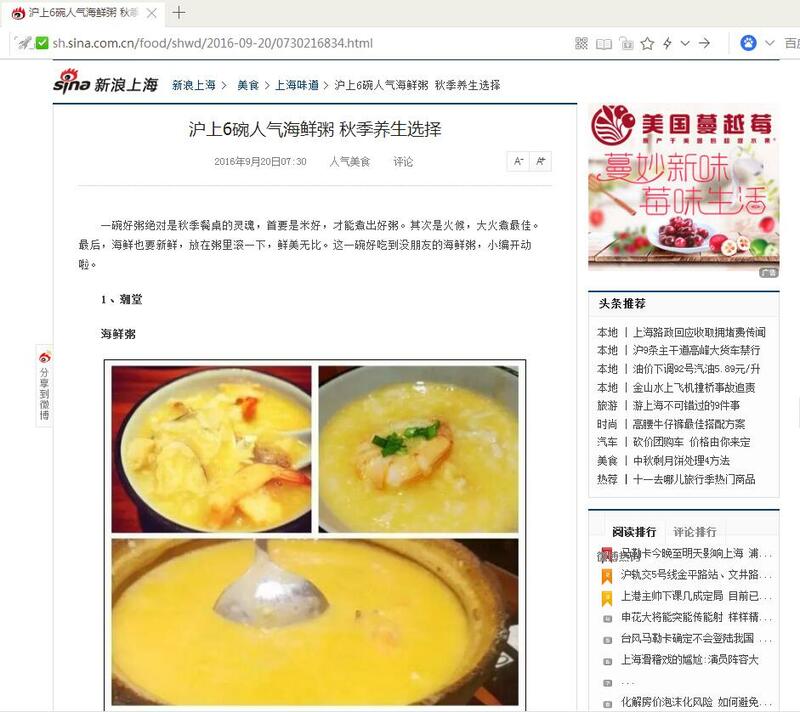 The theme of the campaign was built around introducing cranberry recipes, using the key words #蔓妙新味，莓味生活# (Taste of Cranberries, A Life with Berries) and linking them to CMC’s website. 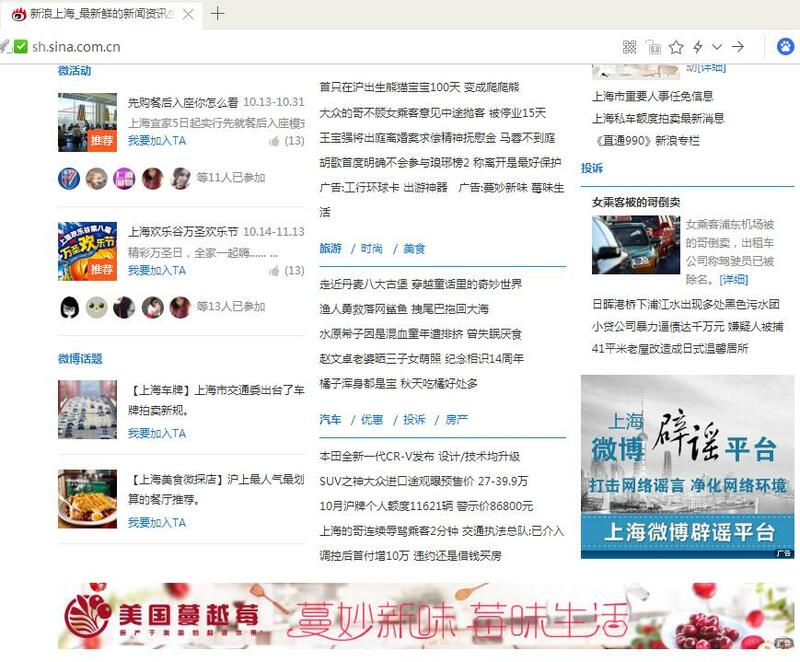 To get more exposures, different banners with cranberry images was inserted into SINA’s website. The banners were also linked to the CMC landing page. They received a total of 42.67 million impressions and 96,000 clicks. SINA invited 5 key opinion leaders (KOL), with a total of 4.97 million followers, to post Weibo contents. 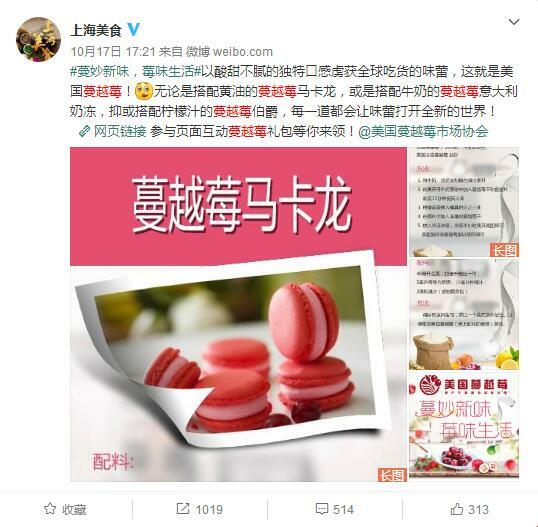 The 6 posts with the key word #蔓妙新味，莓味生活# (Taste of Cranberries, A Life of Berries) posted by 5 KOLs received 196,976 impressions as well as a total of 12,234 reposts, comments and likes. Overall, the topic with the key word #蔓妙新味，莓味生活# (Taste of Cranberries, A Life of Berries) received 1.23 million impressions. During the promotion, page views of CMC’s website were boosted to 121,708, an increase of 120,889 compared with the same period of 2015. Followers of CMC official Weibo account reached 62,663, an increase of 20,233, or nearly 48%, compared to the level prior to the campaign. SINA is an online media company serving China and the global Chinese communities. Its digital media network includes SINA.com (portal), SINA.cn (mobile portal) and Weibo.com (social media).